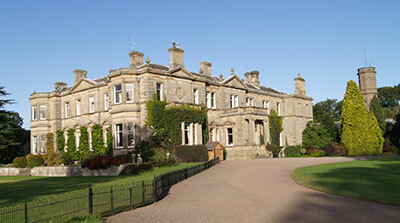 Errol Estate is a traditional working Estate situated around the village of Errol, in the Carse of Gowrie, Perthshire. The Estate extends to around 3,500 acres of productive farmland and woodland adjacent to the River Tay estuary. Errol Enterprises Ltd (EEL) is the management and trading company responsible for the daily running of Estate activities. EEL manage a range of operations including forestry, farming, residential lettings, storage and commercial lettings, renewable energy, country sports, equestrian activities, and events in the principal house (Errol Park) and surrounding parkland. Through the above objectives (a non exhaustive list), EEL aim to generate income from the land and property for its continued management, and to accumulate sufficient funds to reinvest into the land holding. The Estate is a Member of Scottish Land and Estates (formerly SRPBA) and the Historic Houses Association (HHA). Errol Park House is available for weddings, conferences, corporate and team building events.